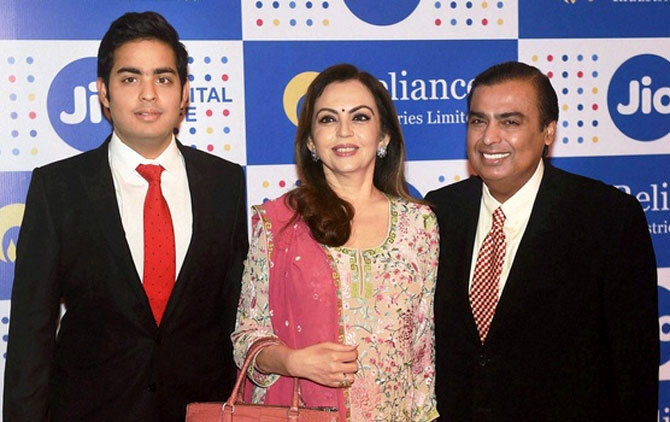 Rediff.com » Business » Did Reliance get away lightly in the 'fraud' case? Did Reliance get away lightly in the 'fraud' case? Securities and Exchange Board of India (Sebi) on Friday delivered its verdict in the decade-old unlawful gains case involving the country’s second-biggest company, Reliance Industries. The capital market regulator has directed the Mukesh Ambani-led company to disgorge (give up) Rs 447 crore, with interest of 12 per cent per annum since November 2007, it made “illegally”. Besides the high interest levied, the only punitive action is a one-year ban from dealing in the futures and options (F&O) segment by the company. So has the company gotten away lightly? Governance firm InGovern’s managing director Shriram Subramanian says that the punitive action should have been stricter. “Sebi needs to be more tough and proactive in such cases. It has taken almost 10 years to come out with this order, which doesn’t contain any penalty. This could set a wrong precedent for companies and market participants who brazenly violate regulations. Banning the company from the F&O segment will not have any impact on the company. Apart from the disgorgement amount, there has to be a penalty to serve as a deterrent to all market participants,” he said. JN Gupta, former executive director, Sebi, and founder of proxy advisory firm SES, says that besides the company, those running the show should also be held responsible. "This order reinforces the faith of investors in the market regulator that it will take to task anyone for the wrongdoing, regardless of the size of the entity. However, this once again raises age-old issues, such as whether the wrongdoing was committed by the company, which is a passive entity, or by the people managing the show. Obviously, a passive entity cannot commit any wrongdoing. Therefore, instead of penalising the company and its shareholders, action should be taken against the people who are responsible," he said. According to the Sebi investigation, Reliance Industries, with the help of 12 front entities, took short positions in its erstwhile subsidiary Reliance Petroleum in the derivatives segment in November 2007. These positions were taken at a time when Reliance Industries was to divest five per cent stake in Reliance Petroleum. The divestment was carried out in such a way that Reliance Petroleum’s shares dropped in the cash and the F&O segment, the investigation showed. The 12 entities “made undue extraordinary profits on the open short positions”. The profits made were transferred to Reliance Industries. They were accounted for as ‘other income’ in the profit and loss account for the financial year ended March 31, 2008, of the Mukesh Ambani-led company. The quantum of unlawful gains made by Reliance Industries was Rs 447 crore, according to the calculations done by the market regulator. Sebi has asked the company to return that amount with interest within 45 days. Prithvi Haldea, founder of Prime Database, says, "Disgorgement is a form of penalty. A disgorgement order indicates that the regulator has been able to establish that illicit gains were made. The real redemption in disgorgement is when you are able to identify the investors who lost their money and compensate them. If not, then use disgorged funds for investor awareness and protection programmes." According to sources, Sebi had charged Reliance Industries with violation of insider trading rules in its first show cause notice (SCN) issued in April 2009. Later, Sebi issued another SCN in December 2010, superseding the earlier notices, in which the company was charged under violation of Fraudulent and Unfair Trade Practice regulations. "Under Section 11 (B) proceedings, there is no scope of monetary penalty. The penalty can be imposed only after adjudication and by the adjudication officer which is not the case here. One should also not mistake the charges against the entities with the insider trading breaches. The action was taken for violating unfair trade practices regulation which is mostly for price manipulation,” says RS Loona, senior partner, DV Alliance. The Reliance case dragged for nearly 10 year as there was a dispute between Sebi and the company for not providing it with some documents pertaining to the case. Reliance Industries had moved the Securities Appellate Tribunal (SAT) over the issue. The tribunal in July 2014 had held Reliance Industries’ plea as not maintainable. "Timely completion of investigations is one of the important yardstick for ensuring a fair, transparent and orderly functioning of the market. It is also vital for improving confidence in the integrity of the securities market. There have been instances in the past as well, where for example, Sebi has been pulled up by SAT for dragging cases for a long period of time or for inordinate delays in enquiry,” says Yogesh Chande, partner, Shardul Amarchand Mangaldas.